Sweet Jojo Designs Purple and Brown Mod Dots 3pc Twin Sheet set is made to coordinate with their Twin Bedding Sets. 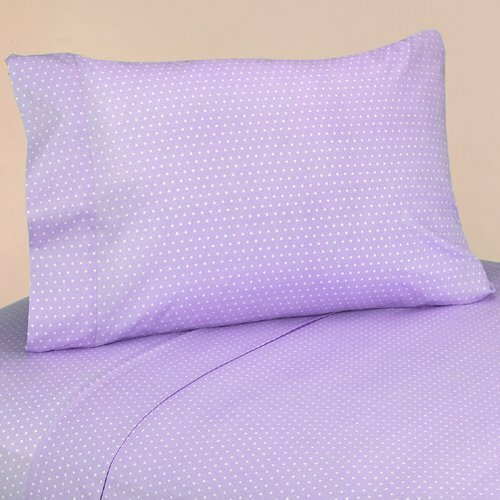 These sheets use purple and white mini dot print 100% Cotton fabric. High quality and easy machine washing will make this twin sheet set a must have for your room. Includes 1 fitted twin size sheet, 1 flat twin size sheet and 1 standard pillow case.